Do you have kids? Ever wonder how to get them interested in Ignatian spirituality? 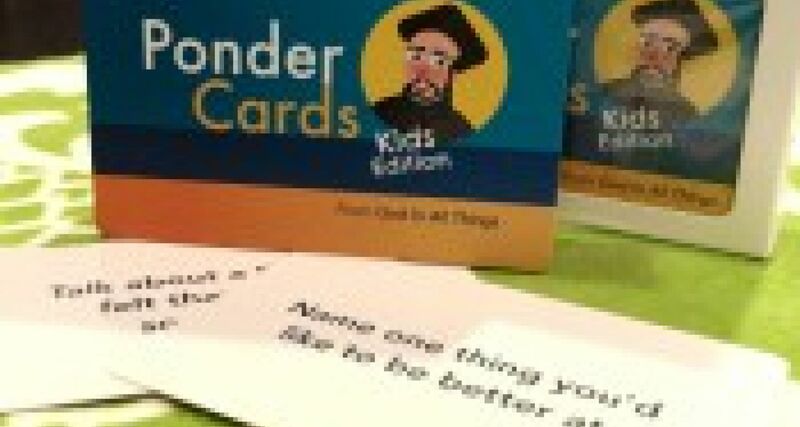 Ponder Cards Kids Edition deck contains thoughtful questions which are a great way to introduce the Examen to children. Ponder Cards deck is a great way to engage your children with thought-provoking questions which are designed to grow one's faith. Each deck contains 51 questions and prompts with two blank cards for writing in your own Ponder Questions, and an instruction card. A deck is $16.00 and can be purchased at Ignatian Resources. If you had a super power to make the world better, what would it be? Did you laugh today? If so, why?